On Sunday afternoon, several thousand people turned up in Washington for a silent march organised by the French Embassy. The march was held on the same day as millions joined the leaders of dozens of countries in Paris. 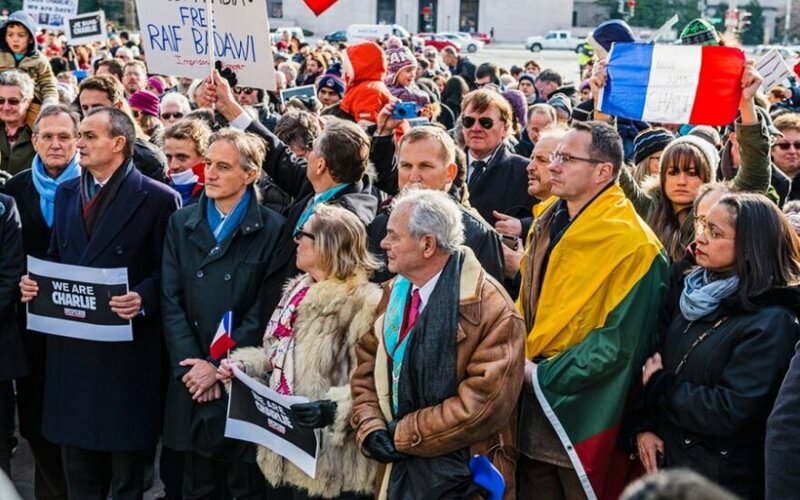 In Washington, the ambassadors from several countries together with dignitaries, religious leaders and thousands of concerned citizens joined the French Ambassador to the USA, Gérard Araud. The participants gathered in front of the Newseum in Washington, a museum dedicated to the press and freedom of expression. 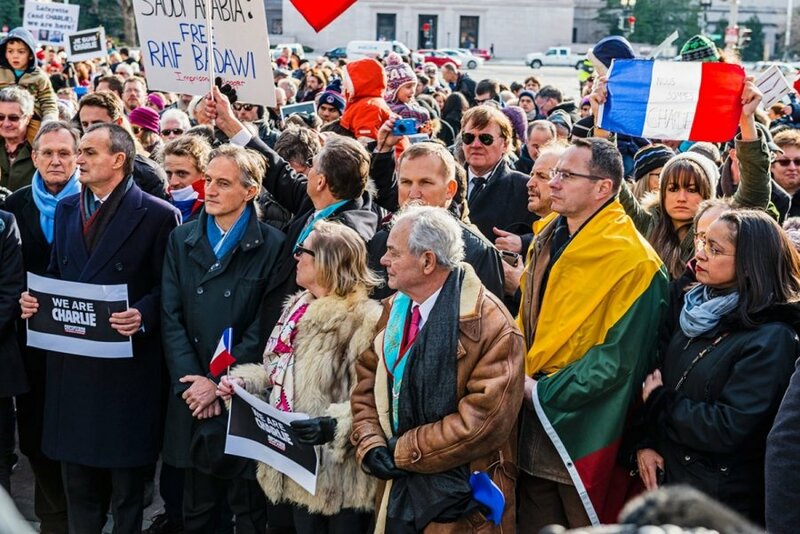 The marchers in Washington came also to lend support to those that fight and maintain freedom of expression and in solidarity remembering the victims of the terrorist attacks in Paris. From the Newseum the marchers walked in silence to the Memorial for Law Enforcement Officers in Washington, D.C. Various law enforcement officers also came out in solidarity with their fallen French colleagues. Many of marchers were waving French flags and the “Je suis Charlie” signs. Some of them held homemade creations such a very large pencil with ‘Charlie’ inscribed. Among the marchers, US Assistant Secretary of State for Europe, Victoria Nuland, and former French Minister of Finance, Christine Lagarde, now Managing Director of the IMF. Ms. Lagarde held a pencil to symbolize the contribution of all cartoonists to the freedom of expression. It was this freedom of expression that was so viciously attacked at satirical magazine, Charlie Hebdo, this past week in Paris. The peaceful march ended at the National Law Enforcement Officers Memorial, dedicated to all those who lost their lives, protecting law and order, and the safety of people.